On January 20, 2011, three Massachusetts state representatives filed a bill in the legislature that, if enacted, will govern employee noncompetition agreements (noncompetes)1. The new bill is not identical to the noncompete bills filed but not enacted last year. In deciding whether to support, oppose, or remain silent about the newly proposed legislation, Massachusetts employers should consider the following. 1. The new bill would make a substantial change in current law. Laws relating to noncompetes generally attempt to balance employees’ freedom of mobility with employers’ interests in protecting trade secrets, other confidential information, and goodwill. The new bill proposes to shift this balance decidedly toward employee mobility. The shift being proposed is substantial even though the new bill is somewhat more moderate in its approach than predecessor bills filed last year. Some of the details are explained below. 2. Not all employers will oppose the new bill. Employers do not have uniform interests relating to noncompetes. Some companies, especially start-ups that need easier access to talented and experienced employees working elsewhere, may support the bill because they favor weakening restrictions on employee mobility. 3. The new bill’s “presumptions of reasonableness” would not strengthen an employer’s ability to enforce a noncompete. Even under present law, noncompetes are enforceable only when reasonable in (a) duration of the restrictions, (b) geographic scope, and (c) scope of restricted activities. 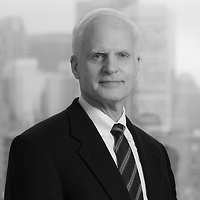 The new bill provides that a restricted period of “no more than six months” and a geographic scope and activities scope based only on the employee’s “last two years of employment” will be “presumptively reasonable.” Merely satisfying those temporal standards, however, will not guarantee enforcement of the noncompete. The employer still will have to prove that, in the specific circumstances of the individual case before the court, enforcement against that particular employee is required to protect the employer’s trade secrets, its other confidential information, or its good will. The arguments an employee could make against enforcement still will be legion. These arguments still could be that the noncompete is unfair because it is “selectively enforced,” that the purported trade secrets are not really secret, that the goodwill already belongs to the employee, that necessary consideration for an agreement was absent, that fraud or duress somehow are at play, or that the overriding principles of equity and fairness simply will not allow enforcement due to some other particular circumstance in the case. 4. The new bill would limit the duration of noncompetes to periods shorter than those frequently being found necessary at present. Some employers find that, in the particular circumstances of their businesses, they need noncompetes that are effective for eighteen months or more after cessation of employment. Judges frequently agree with employers on those assessments. The new bill nevertheless provides that, “in no event may the stated restricted period exceed one year from the date of cessation of employment,” unless there is a garden leave clause requiring that the employee be compensated during the restricted period. And even with a garden leave clause, the restricted period could last no more than two years after employment, the continuing compensation for the employee would be “without offset for any income the employee may receive from other unrestricted activities,” and the garden leave clause also would have to satisfy other precise standards. 5. The new bill would limit how an employer can offer noncompetes to new employees. Under the new bill, if a noncompete is a condition of employment, then the employer must provide it to the employee, when feasible, by the earlier of seven business days before employment or when a written offer of employment is provided. Also, the employer simultaneously must provide an express statement that the noncompete is a condition of employment. And if the employment offer is first communicated orally, the employee must either be informed simultaneously that the noncompete is a condition of employment, or he must receive the required written notification prior to tendering resignation from his current employment. 6. The new bill would require that noncompetes signed with current employees be based on more than their mere continuation of employment. 7. By singling out and emphasizing the employee’s circumstances, the new bill may tilt the law even more strongly toward freer mobility of labor. A judge deciding whether to enforce a noncompete already has wide discretion to consider all factors in the case. This includes all factors relating either to the employee or to the employer. The new bill nevertheless singles out the “economic circumstances” of the employee and the “economic impact” on the employee as factors that courts “shall” consider. By selectively emphasizing those factors, the new bill may encourage a more pro-employee analysis and elevate the employee’s considerations above the reasonable business needs of the employer. 8. The new bill’s attorney’s fees provisions will discourage many employers from using or trying to enforce noncompetes. Under current law, each party generally pays its own attorney’s fees. The new bill would lower the bar for awarding attorney’s fees to employees. Indeed, under the new bill, an employer could prevail at the injunction level (thus establishing the reasonableness of preventing employment with a competitor) but still have to pay the restricted employee’s attorney’s fees. This could occur if, for example, a judge reduced the duration of the noncompete from the maximum allowed by the new bill (i.e., twelve months) to a period longer than that considered “presumptively reasonable” under the statute (i.e., six months). This increased risk of having to pay the employee’s attorney’s fees could deter valid attempts at enforcement. Employers facing such a risk may decide to abandon the use of noncompetes entirely. 9. Notwithstanding an arguable implication in its text, the new bill would change the law affecting existing noncompetes. The new bill expressly states that it “shall apply to employee noncompetition agreements entered into on or after January 1, 2012.” Employers should not conclude from this phrasing that the bill will have no adverse effect on older noncompetes. Judges will feel obliged to take account of the new statutory law when they evaluate older noncompetes, because lawyers opposing enforcement will argue that it is unreasonable and unfair to hold otherwise similarly situated employees to noncompetes with different durations. 10. The time for employers to speak out on the new bill is now. Massachusetts employers with concerns about the new bill may want to speak to their state representatives, business groups, and trade associations now, while the bill is being considered, if they believe that enactment would adversely impact the operation of their businesses. 1A copy of the new bill is here.